We're between Cherry & Maple on Sacramento St., behind the CPMC women's hospital. 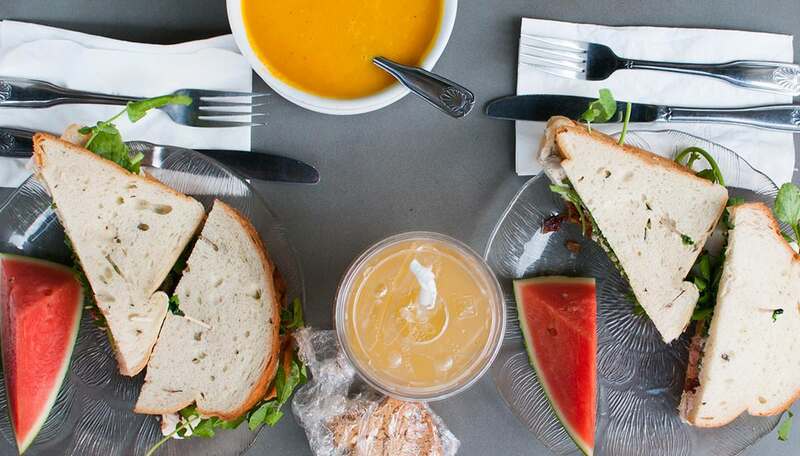 All soups and salads include a basket of the Bay Area’s finest breads with extra virgin olive oil and balsamic vinegar dipping. Fresh Oriental Style salad with chicken and peanuts. A creative assortment of lettuces and greens, served with our fresh dill, honey and mustard vinaigrette. House greens, tomatoes, crumpled gorgonzola walnuts and croutons, with vinaigrette. Creative selection of fresh vegetable, and/or pasta salads. Fresh cubed chicken breast, crumpled gorgonzola cheese, crisp bacon, tomato house greens. serve with our fresh dill, honey and mustard vinaigrette. Cubed chicken breast on bed of mix green, spread asiago cheese, croutons. serve with our fresh dill, honey and mustard vinaigrette. A creative assortment of lettuces and spring mix tomato, black olive, cucumber, red onion and feta cheeses. A creative assortment of mix green and spring mix, large grilled cubed lemongrass tofu with peanuts, rice noodles, sesame seeds, celery, cilantro in rice wine vinaigrette. 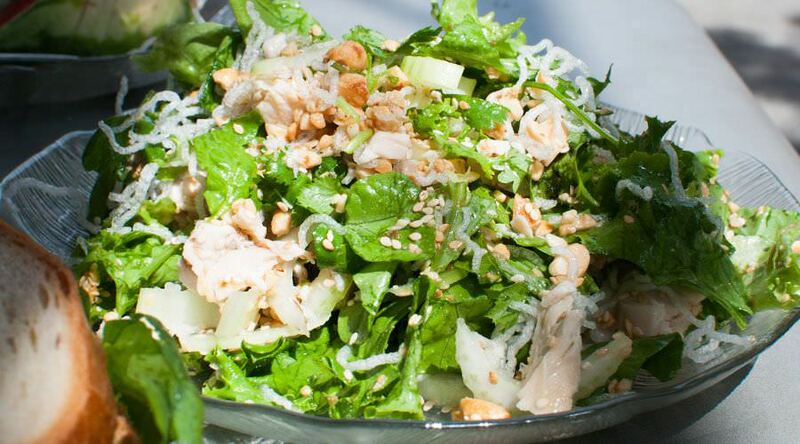 Cubed chicken breast with peanuts, rice noodles, sesame seeds, cilantro celery and greens in rice vinaigrette. A delicious assortment of desserts on display, ask about our box lunches (individual or group size). 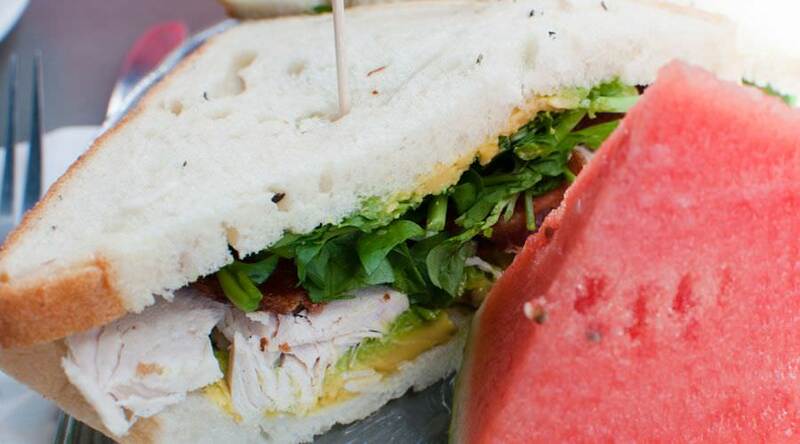 The Grace Kelly sandwich is fresh and light. Shred salmon, celery, red and green onions, mayonnaise on white bread. Chicken breast, bacon, avocado, mayonnaise and watercress on potato bread. Bacon, avocado, lettuce and tomato mayonnaise on toasted italian white bread. Solid white tuna, melted smoked mozzarella or gouda cheese on toasted baguette with mayonnaise, red onion, tomato and green. Solid white tuna salad with black currants, walnuts, mayonnaise, watercress on sweet whole wheat bread. Grilled chicken on toasted baguette with mayonnaise, fresh cucumber, cilantro and vietnamese-style marinated vegetables. Grilled pork belly on toasted baguette with mayonnaise, fresh cucumber, cilantro and vietnamese-style marinated vegetables. Smoked turkey breast, melted brie, dijon mustard and watercress on toasted baguette. On toasted baguette with mayonnaise, fresh cucumber, cilantro and marinated vegetables. Served with soup, green or vegetable salad. Check the blackboard and display case for additional creations. 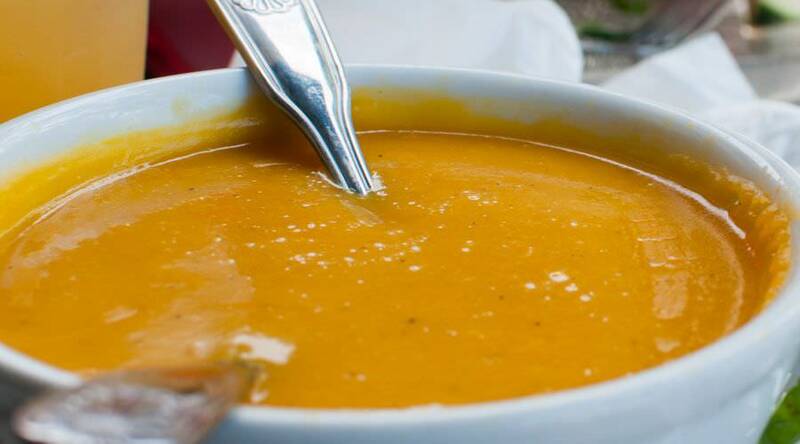 The butternut squash soup has a nice lime and ginger flavor. Over rice with your choice of soup or house salad. 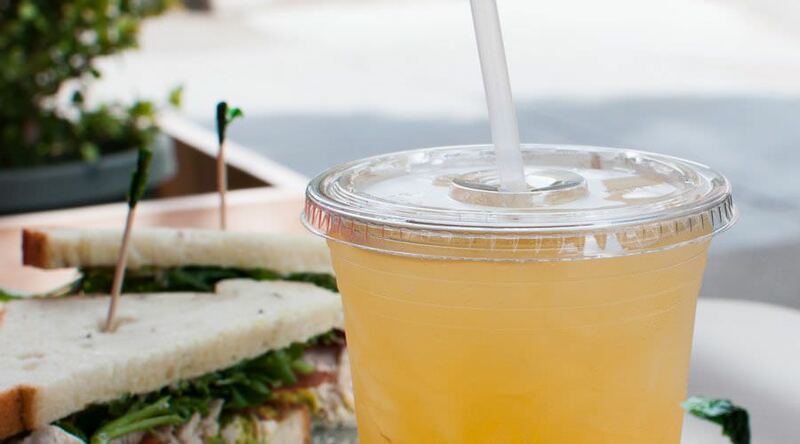 We make fresh lemonade every day. Three full-bodied Central and South American varieties known for their compatibility in gourmet coffee roasting. The finest grade of Columbian coffee beans roasted to dark, oily hue in the European manner. Cold over ice with sweet condensed milk. Hot with sweet condensed milk. English breakfast, Earl Grey, black currants, orange pekoe, chamomile, peppermint, or green tea. Blend of orange pekoe and pekoe teas. Blend to your choice of orange juice or fresh squeezed lemonade. Fresh squeezed organically grown oranges, when available and prepared to order. Coke, Sprite, Pepsi, 7up and other assorted flavors diet sodas upon request. 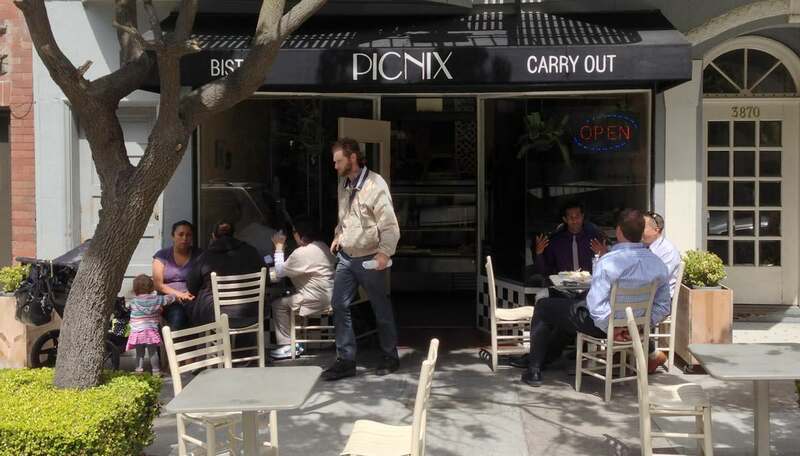 Sitting at an outside table and lunch is served at Picnix Bistro.